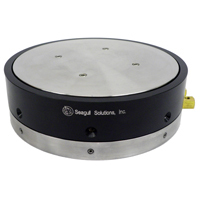 Seagull Solutions, Inc. takes pride in developing the highest quality products that incorporate the latest cutting edge technology and innovation - products that provide our customers with the demanding solutions they require. With the use of our patents, industry knowledge and innovative ideas, Seagull remains at the leading edge of technology development for air bearing spindles and clamping devices. 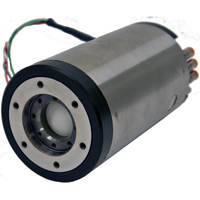 Seagull has developed and manufactured many different spindle designs including aerodynamic, aerostatic, hydrodynamic, hydrostatic, ball and roller bearings. 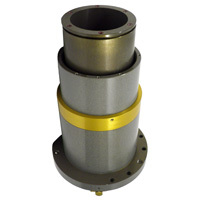 We specialize in surfaces of rotation and in spindle systems, related electronics and tooling. As originators of the true Crash-proof technology, Seagull has utilized some of the hardest/stiffest air films in the industry. 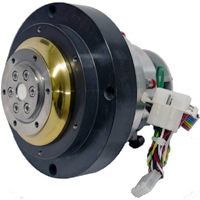 Crash-proof construction addressed concerns regarding high speed friction welding of the rotor to the stator, completely eliminating the primary cause of air bearing failures. 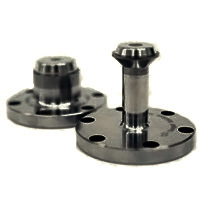 Tight operating clearances provide higher stiffness and reduced air consumption while allowing a greater percentage of ultimate load capacity to be used as working capacity. 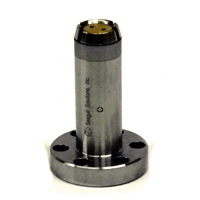 All Seagull air bearings are designed as a modular cartridge allowing for ease of adaptability into almost any application. Extreme Acceleration performance for maximum productivity: Fast and Robust. 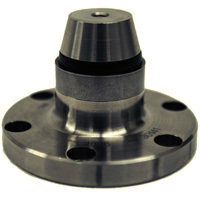 Available, Spring 2010, this all new Air Bearing Spindle features cool running 30K performance using legacy disk clamps. 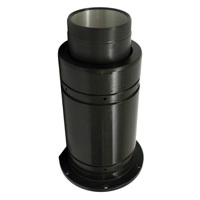 Pioneer crashproof 30,000 rpm Air Bearing Spindle. 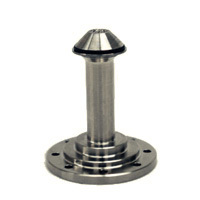 Large installed base with proven performance. 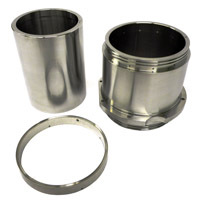 Increased acceleration performance when used with small pattern clamps. Legacy with very large installed base. Crashproof 20,000 rpm performer. Best Mechanical performance in the market: Stiff, Smooth, Stable and Fast. Seagull, as it exists today, was founded on it's development and Patent filing for the Hard Disk Drive's first "capless" and fully automated disk clamp. The "Bladder Clamp" supported 14" (355.6mm) though 2.56" (65mm) product in all aspects of production for years. It's 360 degree even gripping power captured an industry and lead Seagull into the servicing and production of many disk related products. Today, that spirit lives on in several proven and industry accepted forms. 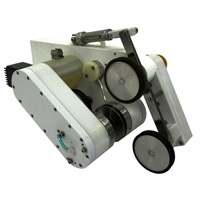 The latest is a 360 degree grip clamp that can be either vacuum or pressure activated, has disk sensing capabilities and can grip any disk at very high acceleration rates. 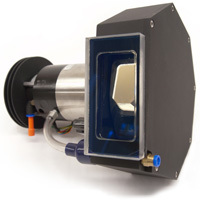 Additionally this clamp features a check valve feature that allows pressure to unclamp the disk but flows vacuum through the clamp under use for particle capture and cleanliness. This feature can now be applied to most Seagull clamp designs. It is doubtful that any hard disk drive is manufactured today that has not touched a Seagull Clamp at some point in it's processing. A performance breakthrough due to zero wear, zero distortion, zero particulation. 24/7 proven performance at very aggressive duty cycles. 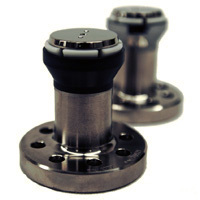 Recently tested to grip reliably at acceleration rates of 40,000 rpm/sec while maintaining minimum distortion this is the latest in Seagull clamp innovation. 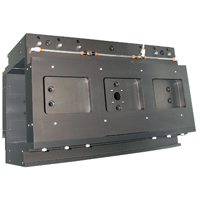 Undoubtedly the highest performance vacuum clamp in the industry. 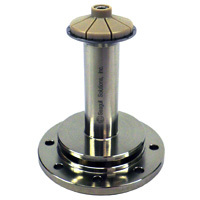 Seagull's first self centering non-elastomer (non-rubber) clamp is still a solid performer today. Simple in concept yet sophisticated in execution, this sealed design can work wet or dry, vertical or horizontal, fast or slow. 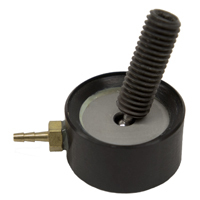 A staple for the indusrty, this strap clamp is known for strong holding force and excelent centering. Our Z-Theta Stage in the 100mm varity. Our Z-Theta Stage in the 200mm varity. Our Z-Theta Stage in the 300mm varity. Our 1 inch diameter Air Pad. Our 3.2 inch diameter Air Pad. Our 6.6 inch diameter Air Pad. 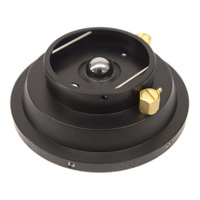 Our Legasy Disk Burnisher is used to polish the full surface of a disk.